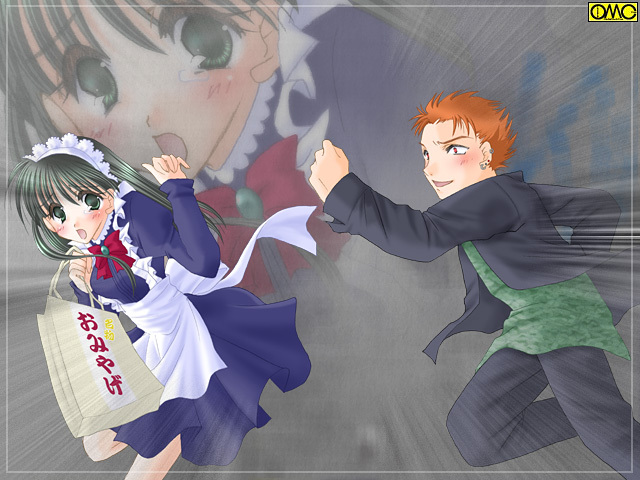 From "Fight" in the "Akira-kun Series"
I was completely transformed into a pretty girl wearing a maid outfit. "M-maid. . . to have a gift?" Is that why I am now a maid and have a gift in my hands? Ridiculous! He said just "made to have a gift", didn' t he!? I kept on running girlishly. . . in a way that was becoming increasingly more natural.